Give your Bedroom a charismatic look with this modern, chic handmade quilted comforter. The metallic highlights shimmers with a special light. 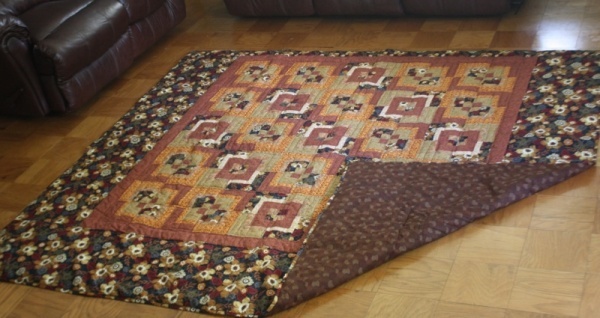 The handmade quilted comforter is an eclectic mix of bronze, copper, granite and stone. We think we succeeded in creating a modern design to add just the right touch for your unique home décor. 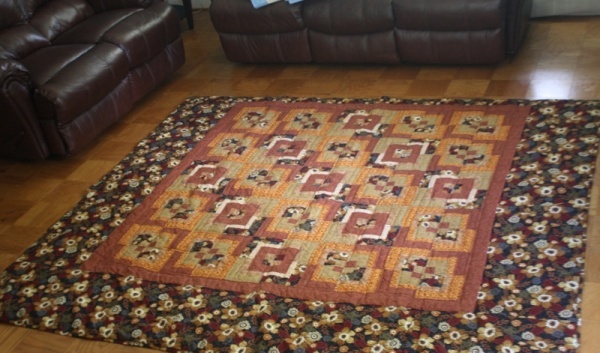 The 100% cotton top with brown circular pattern lining is brings out the best in home design. Go make your home beautiful. 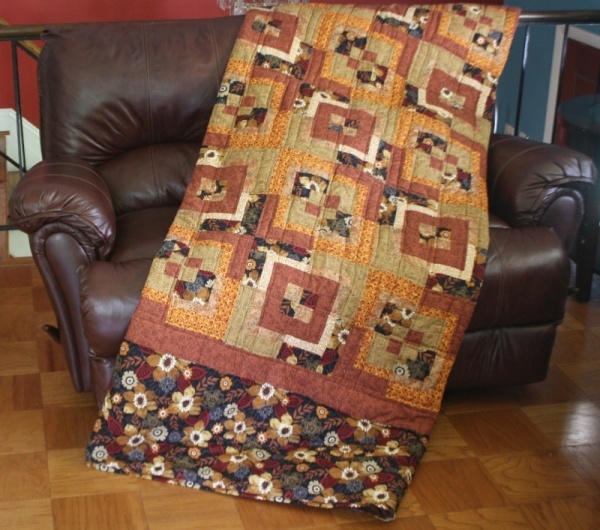 Get this wonderful handmade quilted comforter today. P.S. Complete the look with a coordinating table runner work for a dresser or bureau. Face and lining is 100% cotton with a 100% cotton with poly batting.